We have a DREAM. A Dream puppy, that is. 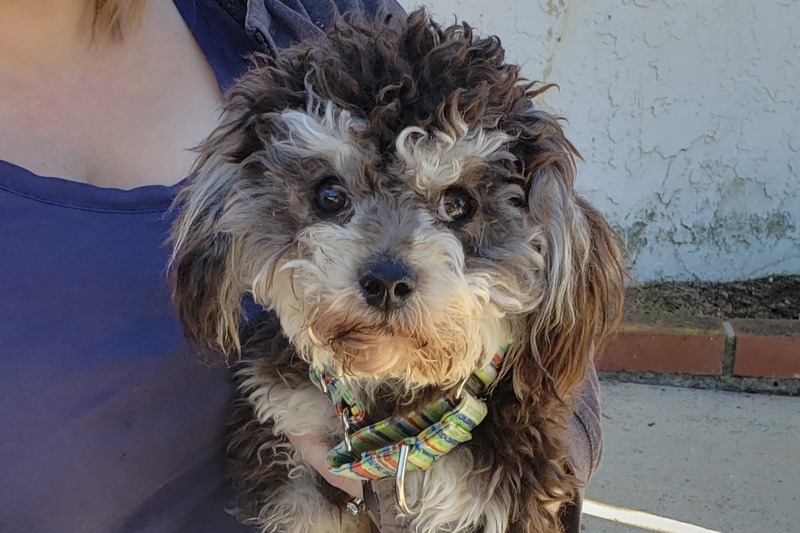 On Jan. 20, 2019, we rescued a young poodle type puppy from the Orange County shelter after they had sent multiple pleas for help, all unanswered. The pup was dying and beyond the ability of a shelter to provide for, so when our foster mom said yes, we couldn't say no. We named him Dream in honor of Dr. Martin Luther King, Jr. and the many lessons in compassion that he shared with the world. 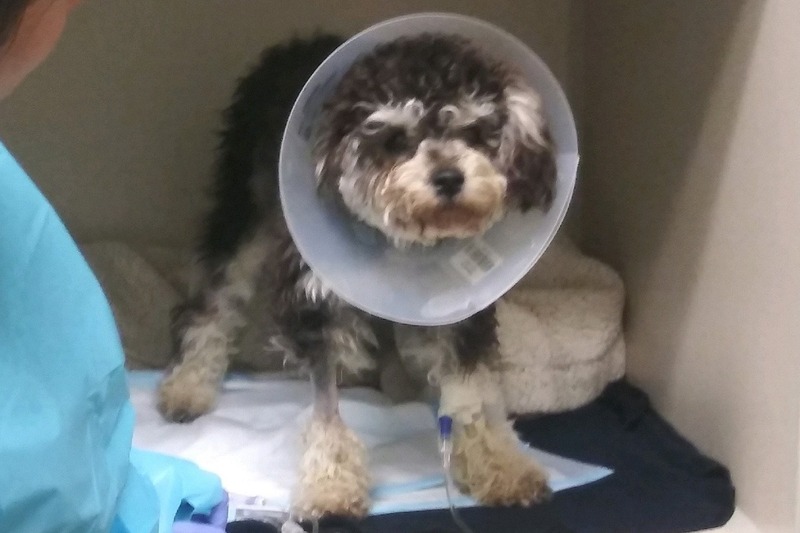 Our baby Dreamer left the shelter and went immediately to our emergency specialty hospital in San Diego where he was hospitalized for 2 days receiving life saving critical care. In the shelter, Dream had been exhibiting neurological deficits, was weak, underweight, ataxic and unable to stand or walk. He had multiple seizures, was moaning, circling and hyper salivating, head pressing, and seemed to have lost vision in his right eye. Dream's tests also revealed a bladder stone, so we'll need to remove that and also neuter the little guy as soon as possible. He has several retained deciduous teeth too so those will come out during one of his procedures. While we didn't quite expect Dream's life saving care to surpass $10,000 when we first decided to save him, it has so he'll get what he needs. We knew livers are costly. Lives are costly too so we're asking for help and hoping that our supporters and Dream's fan club will make an investment in his future. Dream's emergency care at Veterinary Specialty Hospital from Jan. 20-22 totaled $3,528. 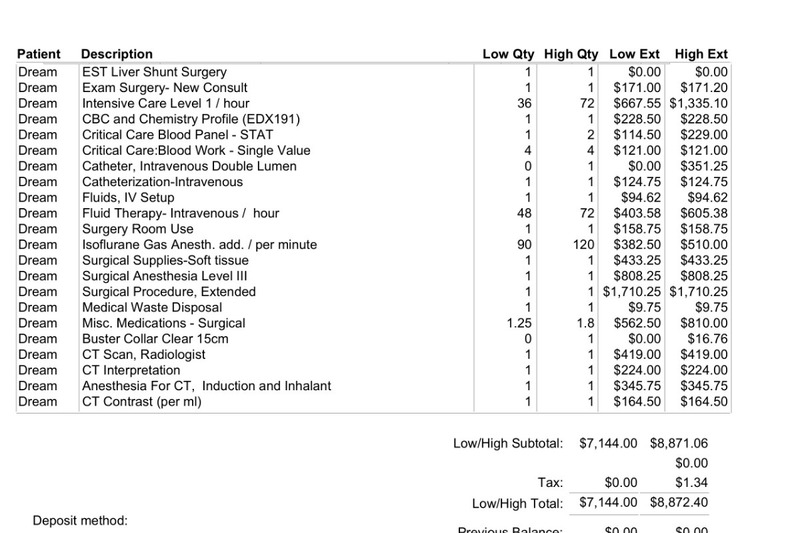 His estimate for the CT scan and liver repair, not including neuter and cystotomy for his bladder stone nor the teeth, is between $7,144 - $8,872. 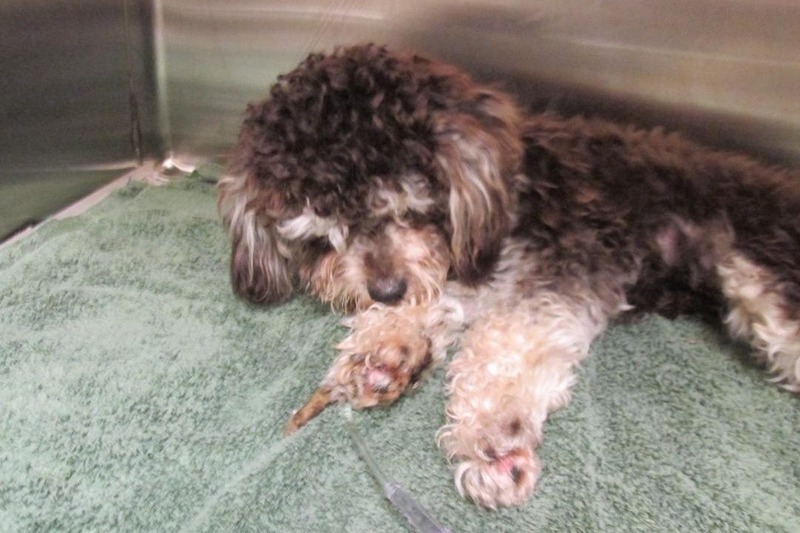 So we're looking at a minimum of $10,672 just to fix his liver and nothing else. The Dreamsicle has received $1,350 so far in donations for which we're soooo grateful. However we have a long way to go, huh. We're setting his fundraiser at $6,000 with hope that we'll reach our goal. It's no wonder he didn't have any rescue interest while still at the shelter :'( We don't spend this much on every dog we save (for obvious reasons), but some dogs just have far greater needs yet are still as deserving of a future as anyone else. We can do this, with your help. WDR and the Dreamsicle would greatly appreciate any tax deductible donations from our fellow dog lovers. No amount is too small, ever. Please consider skipping that fancy coffee or bringing a bag lunch one day and letting Dream have a bit of your savings. We want to give this little baby the best and longest possible future, and we know you do too. Wagging Dog Rescue is an all-volunteer 501(c)(3) non-profit that rescues orphaned dogs from shelters and streets in California and beyond who are at risk of euthanasia or worse, who may need medical care or rehabilitation, and who will one day be restored to their rightful place as a cherished family member. We rely on contributions and fundraising to achieve our mission of saving lives, strengthening families and creating a compassionate future through rescue, education and adoption. 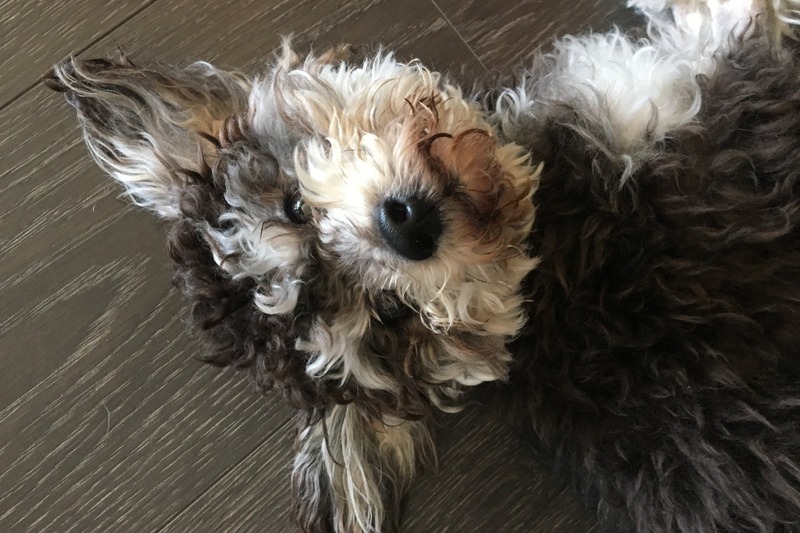 Today is Dream's Big Day and we want to thank everyone who has helped us to get this far in giving a little silly puppy a long and healthy forever future. We'll share news of his procedures once we have it! Please keep the lil scamp close to your hearts today.